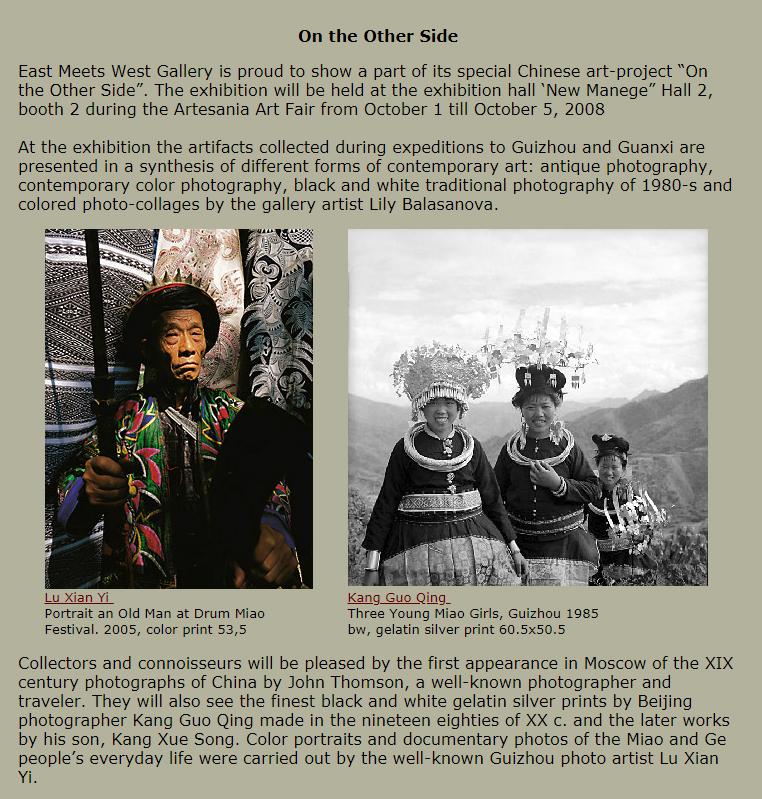 The East Meets west Gallery is proud to present a part of Tatiana Paleeva’s special art-project “On the Other Side”. Who are these ethnic groups of Miao (Hmong), Ge (Gejia), Dong, Buy (Bouyei) and Yao (Man) hidden in the highlands and mountains off beaten track and out of “civilization”? At the exhibition the artifacts collected during expeditions to Guizhou and Guanxi are presented in a synthesis of different forms of contemporary art. 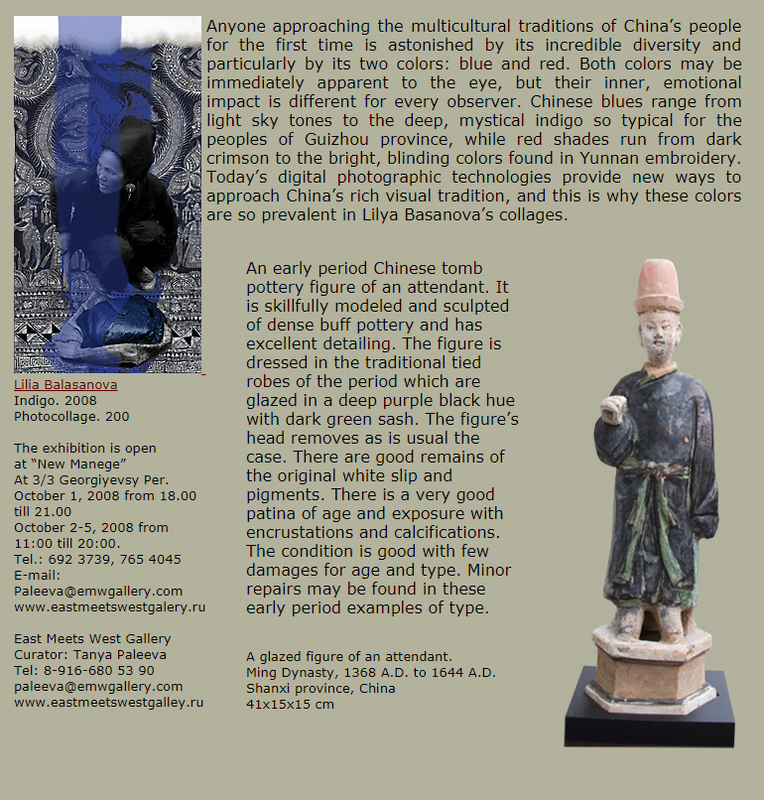 Tatiana Paleeva will also exhibit some XVII-XIX centuries’ Antique Chinese sculptures from her collection. October 2-5, 2008 from 11:00 till 20:00.